weeLove: Is Your Backseat Covered in Crackers? The only thing someone hands you before a car ride is a half-eaten waffle. Your backseat is where crackers go to combust into a million pieces. And then somehow they multiply every time you open the door to retrieve your toddler. Sigh. 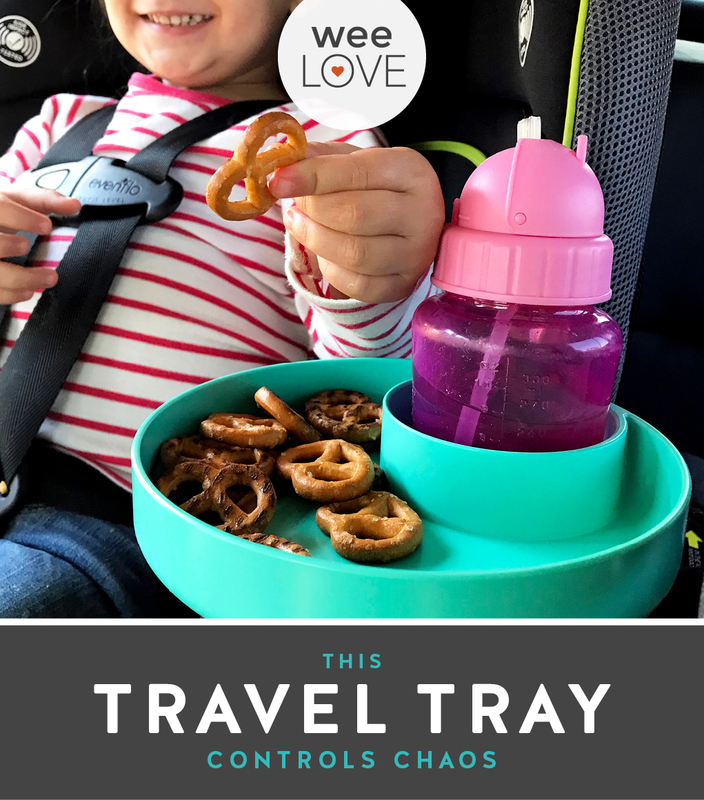 Now there’s hope for more organized, less messy on-the-go snacking thanks to Travel Tray. This handy one-piece tray securely holds cups, bottles, and snacks. It has a universal fit, so you can pop it right into the car seat cup holder, ensuring all the essentials are easy-to-grab and exactly where they’re supposed to be. The tray is 100% food grade safe, BPA, PHT, and PVC-free, and can be cleaned in the dishwasher. And who says your kids get to have all the fun? Use it for grown-up snacks up front to cut down on distracted driving (it even fits a certain venti coffee cup) or take it along in your stroller. 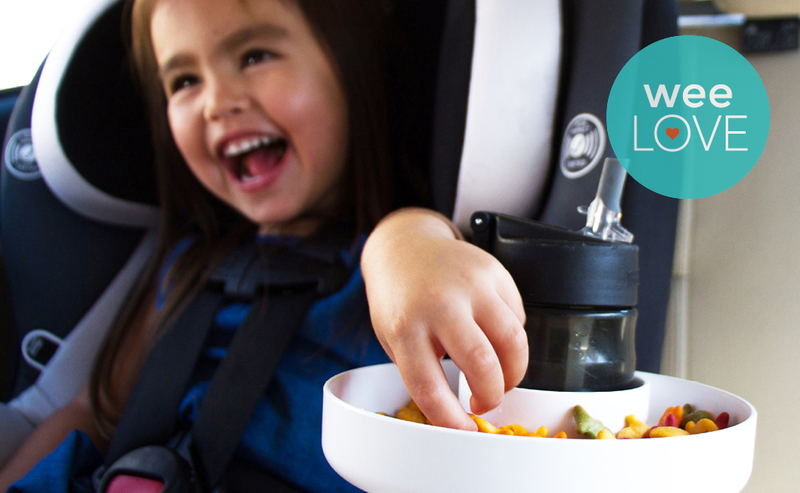 If snacking in the car isn’t your thing, it also keeps crayons and small trinkets within arm’s reach. Available in every color of the rainbow, Travel Trays are sold individually or in packs of two or four. Being a parent is a wild ride. But with a Travel Tray, at least some excursions can stay relatively tame.